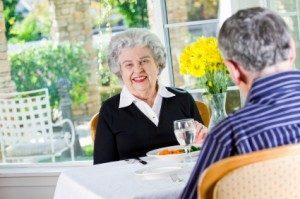 Get More Out of Retirement With Senior Discounts in Chattanooga! One of the best things about getting older is getting to take advantage of senior discounts. These days it seems like everyone offers a little break to those over a certain age. You can claim these special deals if you only know where to go and to speak up. Fortunately in a great town like Fort Oglethorpe right next to a great city like Chattanooga, it’s hard to avoid running into amazing deals for seniors. They’re everywhere you look! With so many local attractions, it’s not hard to find fun outings that also let your save. The International Towing and Recovery museum, one of Chattanooga’s most unique attractions, gives seniors a dollar off their ticket price, and the Chattanooga DUCKS tours take off two dollars. The famous Incline Railway cuts the ticket price nearly in half for those 65 and older. The Chattanooga Zoo gives those 65 and older $2 off admission, and 75 or older get in free to celebrate the Zoo’s 75th anniversary. These types of activities would be perfect for sharing with grandchildren. The city of Chattanooga maintains two golf courses with discounts for seniors, Brainerd Golf Club and Brown Acres Golf Club. Regal Cinemas offers up to 30% off the regular adult ticket price for anyone 60 or over, as does Carmike Cinemas. And many small, local businesses tip their hats to those in their golden years, too. Bea’s Restaurant is a family style restaurant with cut cost for seniors. Pet Palace Groomers has 10% off Tuesdays for anyone over 60. The Chattanooga Choo- Choo also offers a discount, and popular Italian joint Provino’s has an early bird special. In addition, there are countless national and state parks surrounding Chattanooga, including the Chickamauga National Military Park, Harrison Bay, Prentice Cooper, Cloudland Canyon, and many more These parks are a very affordable way to enjoy Tennessee’s vast biodiversity and beautiful rolling hills and mountains. State Parks offer 25% off standard camping fees April-October and 50% November-March, in addition to 10% discounts on Inn rooms and restaurant meals in parks. Next time you want to hike, fish, boat, camp, or simply settle into a cozy cabin for the weekend, these deals make Tennessee’s parks even more accessible. There are no shortage of affordable ways to enjoy all Fort Oglethorpe and Chattanooga have to offer. With senior discounts you can shop, eat out, and play without having to worry too much about your pocketbook. So go on and celebrate just how much fun life can be!